Dwight Taylor is a founding member of The Rocky Mountain Law Group, LLC. Dwight has practiced in Aurora, Colorado since 1996. A significant portion of Dwight’s practice is in estate planning and probate matters. Dwight takes particular pleasure in assisting clients to protect their families in the transfer of family wealth to following generations, and in assuring that those plans are properly carried out. Dwight’s work with business organizations include entity formation and governance, business planning and contracting, and asset preservation. Dwight has extensive experience in significant commercial transactions and financing in construction, business acquisition, inventory and operations. He has particular expertise in agricultural law and the financing of commercial agricultural enterprises and rural utilities. His trial and appellate experience has been in the area of contract interpretation and enforcement, uniform commercial code issues, bankruptcy and business organizations. His work with business organizations include entity formation and governance, business planning and contracting, and asset preservation. 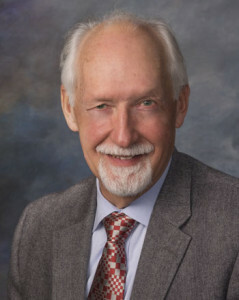 Dwight is active in the Aurora Chamber of Commerce, other civic organizations and serves on citizen boards and commissions for the City of Aurora.